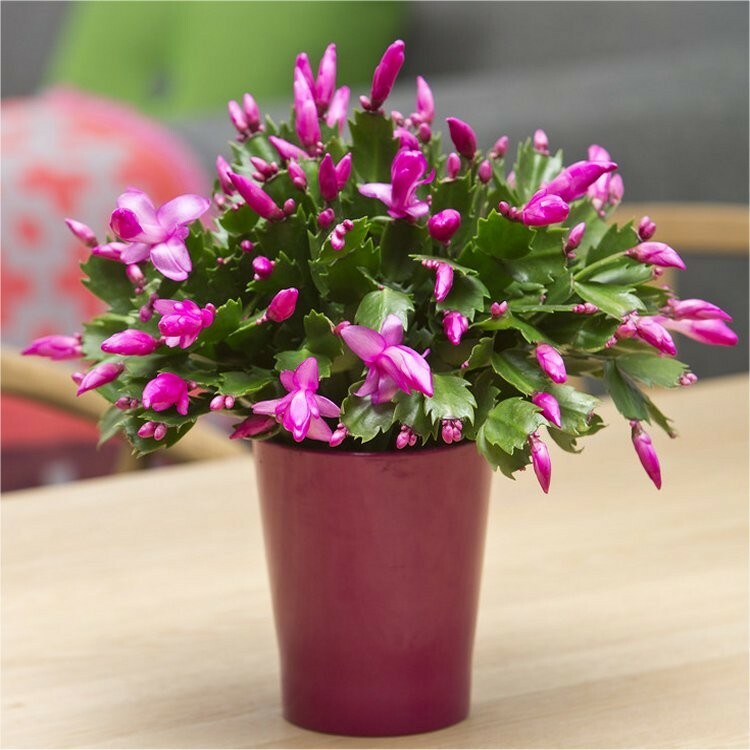 When in full bloom, the Flowering cactus (Schlumbergera) is one of the most eye-catching flowering house plants you can get. It will bring brightness to your home throughout the winter period - it's natural flowering time. Flowering cactus (Schlumbergera) are one of the few plants that flowers naturally in winter around December - hence the common name Christmas Cactus. With normal care these Flowering cactus plants will produce blooms year after year throughout the winter months.